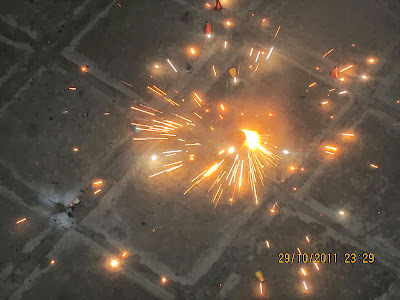 " Diwali is a unique confluence of happiness, bliss & prosperity. May the festival of lights be the harbinger of joy and prosperity to all my friends and well-wishers the world over ! " 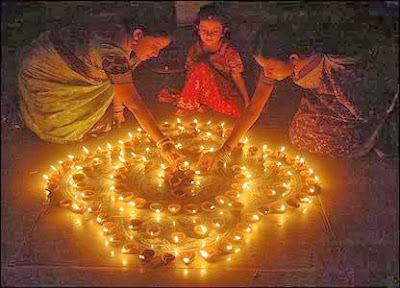 One of the biggest festivals celebrated by all Hindus worldwide is Deepavali or Diwali in India. 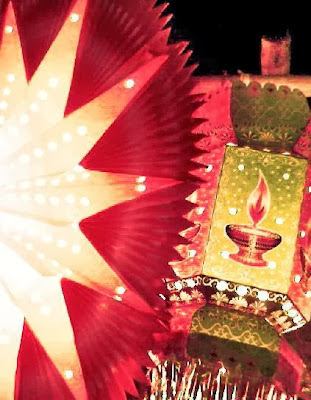 This festival is celebrated with lots of enthusiasm and happiness for five continuous days, with the third day being celebrated as the main Diwali or as Deepavali ‘Festival of Lights’. One important practice that the Hindus follow during the festival is to light diyas, candles or oil lamps all around their house. By lighting their house the Hindus are thanking the gods for the happiness, knowledge, peace and wealth that they have received. As like in other parts of the world Deepavali is celebrated in Andaman and Nicobar Islands with great joy and it is one of the most happening festival of Andaman island followed by Durga Puja. One can walk down the streets of Port Blair and can feel the the joy of Deepavali being celebrated in these small islands situated 1400 kms away from mainland of India. People from various races, castes, creeds, religions from all over India adopted these islands as their place of settlement, irrespective of all these Diwali is being celebrated by everyone, and this is the uniqueness of Diwali - The Festival of Lights in Andamans. The usual precautions that keep pouring in before Diwali might not be new for most of us. However, it seems OK to brush-up the Do's and Don'ts once again to avoid the unfortunate mishaps and injuries that are so commonplace during the festivities. 1. DON'T attempt to relight a dud. It could still go off and have even less of a wick. Let it sit for several minutes and then douse it with water. 2. DON'T use fireworks or sparklers indoors. 3. DON'T carry fireworks in your pocket. They're explosives and can go off prematurely even if they're not lit. 1. DO read and follow the label directions. It's a no-brainer, but you'd be surprised how often people ignore the directions. 2. DO light fireworks away from combustible materials like buildings, trees, dry grass and other obstacles. 3. DO bury your fireworks at least halfway down into a bucket of sand angled on a trajectory away from spectators and combustibles. 4. DO have water handy (garden hose and bucket) to soak fireworks after firing. 5. DO light a firework at arms length, standing back and keeping your face away. 6. DO douse sparklers with water and allow them to cool in a safe place away from children. The ends of sparklers remain hot for some time, and will easily burn a child's skin, clothing, or nearby combustible material. 7. DO arm yourselves in advance with information on how to administer First Aid kit to the injured person. 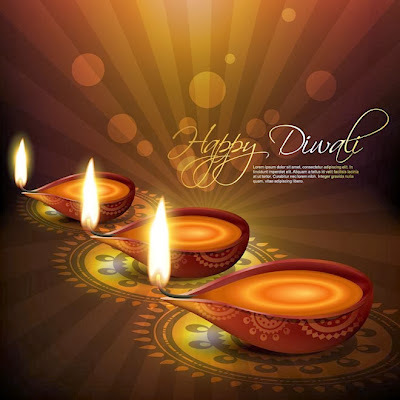 Wishing all reader's a Great Diwali !